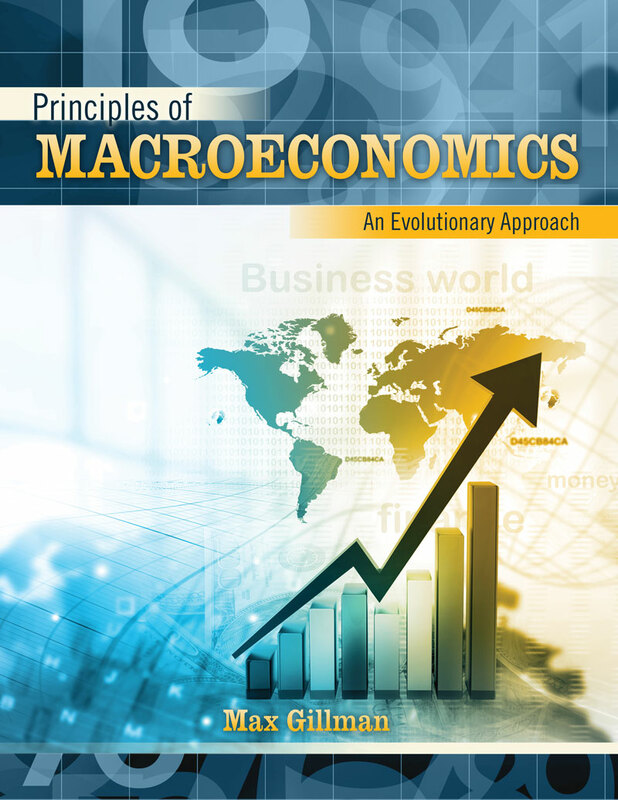 Principles of Macroeconomics: An Evolutionary Approach presents the development of Macroeconomic Theory from its split into Neoclassical and Keynesian during the Great Depressions to its current form after the Great Recession. By showing how crises led to the development of macroeconomic theory, and how this development was rooted in microeconomics originally, the student gets a feeling of the changing nature of the science that economists call Macroeconomics. questions at the end of each chapter include a link up to the Federal Reserve Bank of St. Louis free, open software, course modules under their EconLowdown framework. an online learning system with interactive example questions and online tests, both pre-module and post-module, as a substitute to alternative proprietary software linked to publishing houses. Principles of Macroeconomics: An Evolutionary Approach (2017 Kendall Hunt, Iowa). Advanced Modern Macroeconomics: Analysis and Application (2011 Pearson UK, Financial Times Press). Inflation Theory in Economics: Welfare, Velocity,Growth and Business Cycles (2009 Routledge). Editor, Collected Papers on Monetary Theory by Robert E. Lucas, Jr. (2013 Harvard University Press). Background: Previously Professor of Economics at Cardiff Business School in Wales, UK for over eight years. Before that Central European University in Budapest for seven years, full time, while now serving as Visiting Professor at CEU since 2006. Associate Researcher at the Institute of Economics, Hungarian Academy of Science, Budapest and Senior Researcher in CERGE-EI in Prague. Research Agenda: Current research agenda focuses on business cycles, economic growth, and how money and banking influence both cycles and growth. A recent paper extends monetary theory to study tax evasion and growth through a human capital approach. Education: Ph.D. The University of Chicago, Economics Department; A.M: The University of Chicago, Economics Department; A.B. The University of Michigan, Honors Economics, Mathematics double major. Articles: Journal of Human Capital; Review of Finance; Journal of Monetary Economics; Journal of Money, Credit and Banking; Journal of Economic Dynamics and Control; Review of Economic Dynamics; Berkeley Electronic Press Journal of Macroeconomics; Journal of Macroeconomics; Economic Journal; Economica; The Manchester School; European Journal of the History of Economic Thought; Economics of Transition; Bulletin of Economic Research; Economic Inquiry; Contemporary Economics Issues; Journal of Economics Surveys; Japenese Economic Review; Australian Economic Review; Empirical Economics. Tamas Csabafi works with me as Research Associate at University of Missouri, St. Louis; my former Ph.D. student from Cardiff University.